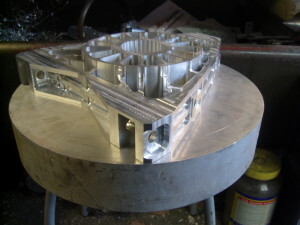 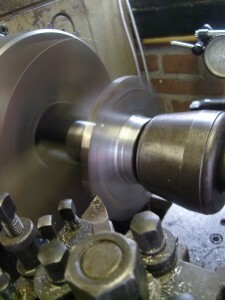 The knuckle was milled from a round 6082 aluminium bar, 400mm in diameter. 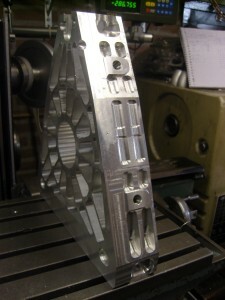 I used 6082 instead of the strongest aluminium, 7075. 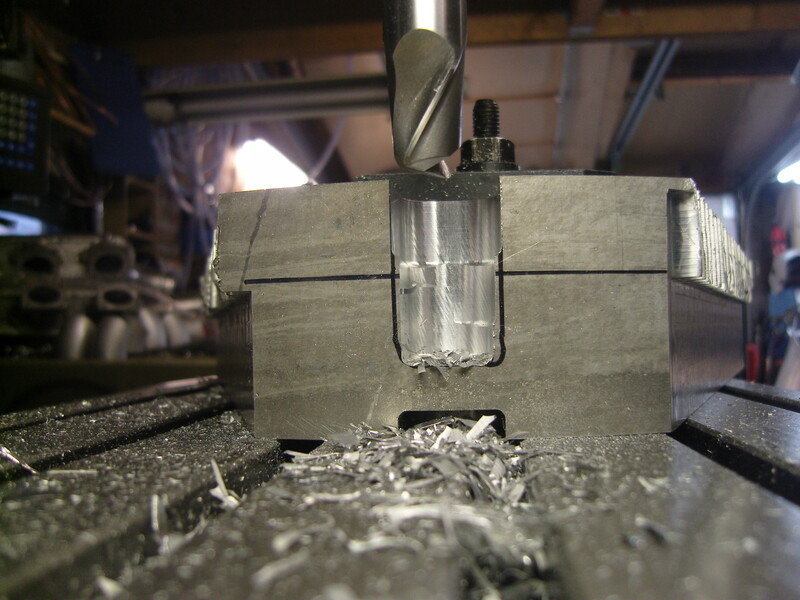 Some experts state 7075 is more suspectible to cracking when milling it the way I do, as I’m leaving small edges everywhere. 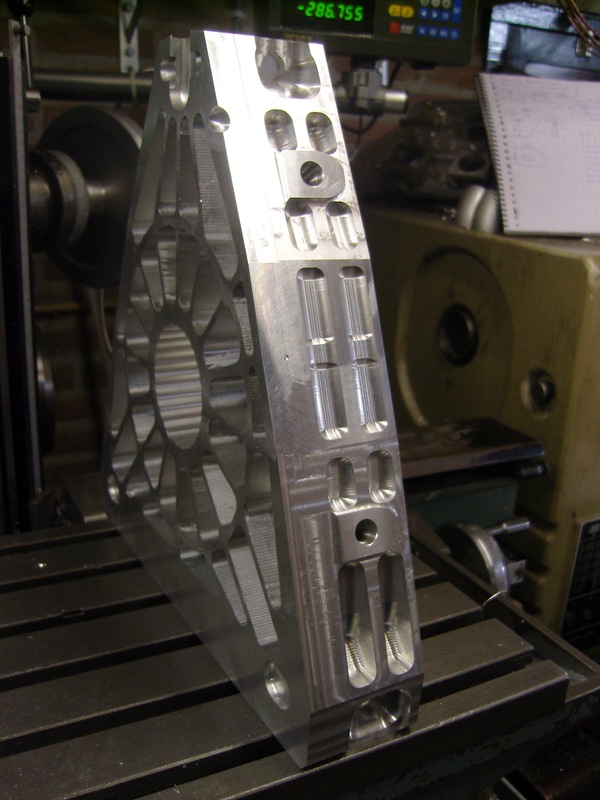 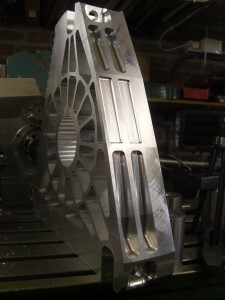 In addition to that, 7075 is more brittle and somewhat ‘thougher’ to mill. 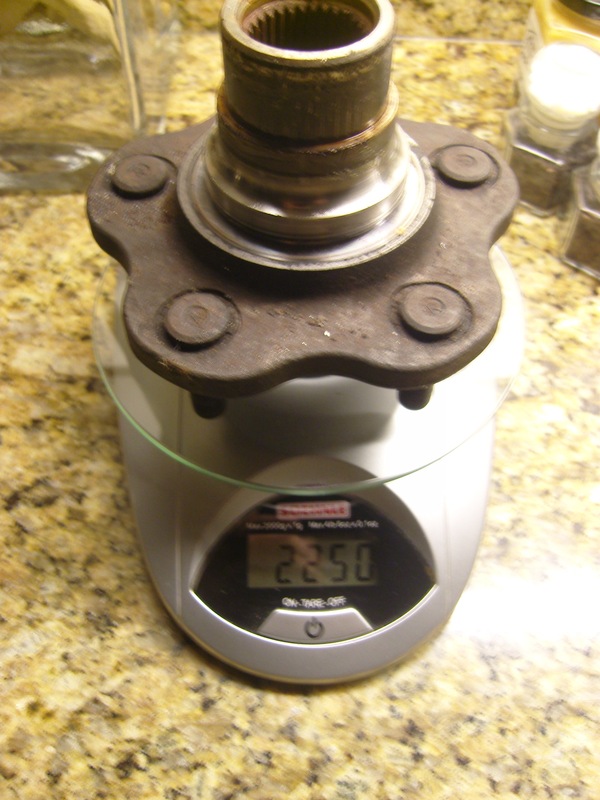 For a suspension component seeing constant shock and stress I wanted to play safe, so I made the knuckle slightly thicker than it would have been in 7075. 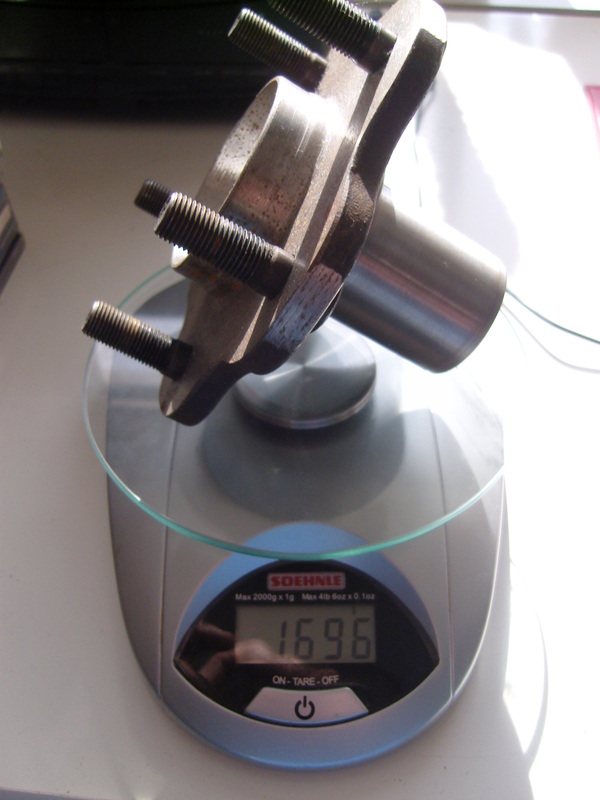 It would have been easier to mill it from a plate 70mm thick, but I feel that the grain structure from a round bar allows for greater strength and crack resistance. 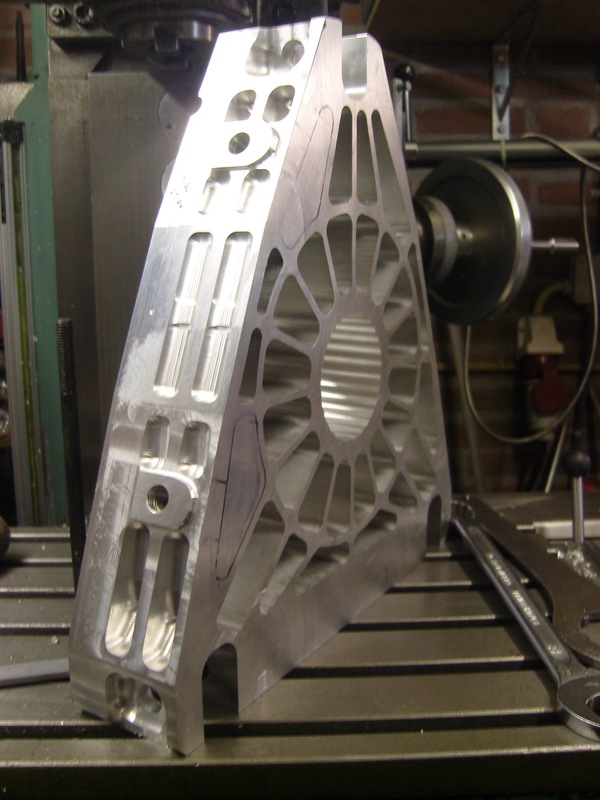 I’ve talked this over in relation to the complete design with several engineers and some thought I were right while some said a flat plate would have been just as strong. 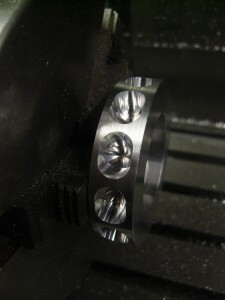 Regardless, if I had to make another set I would use a round bar yet again. I used mills from 8-22mm, though the mills smaller than 11mm had trouble following the long way down straight. 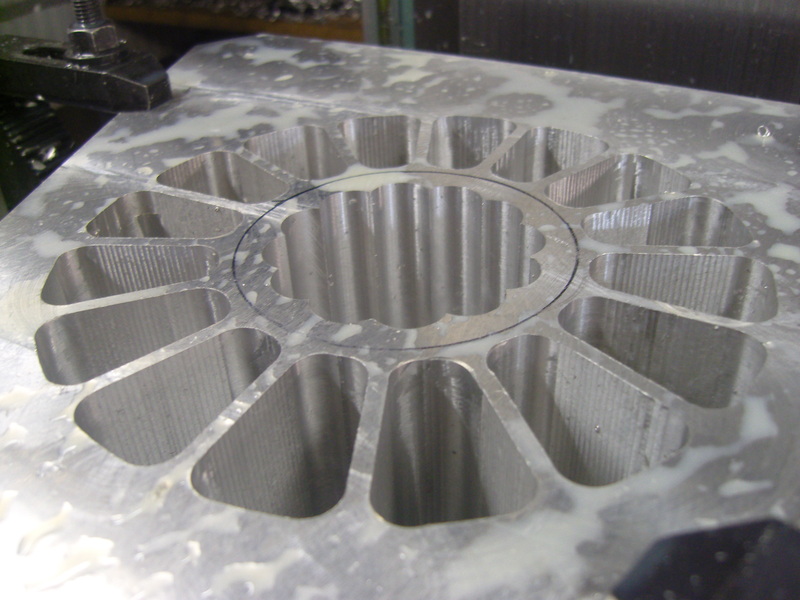 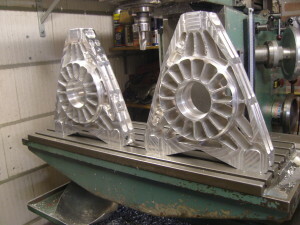 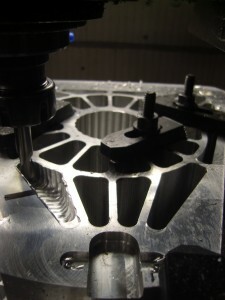 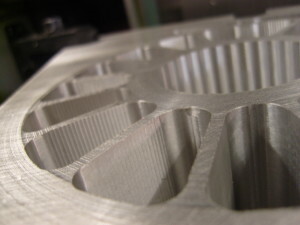 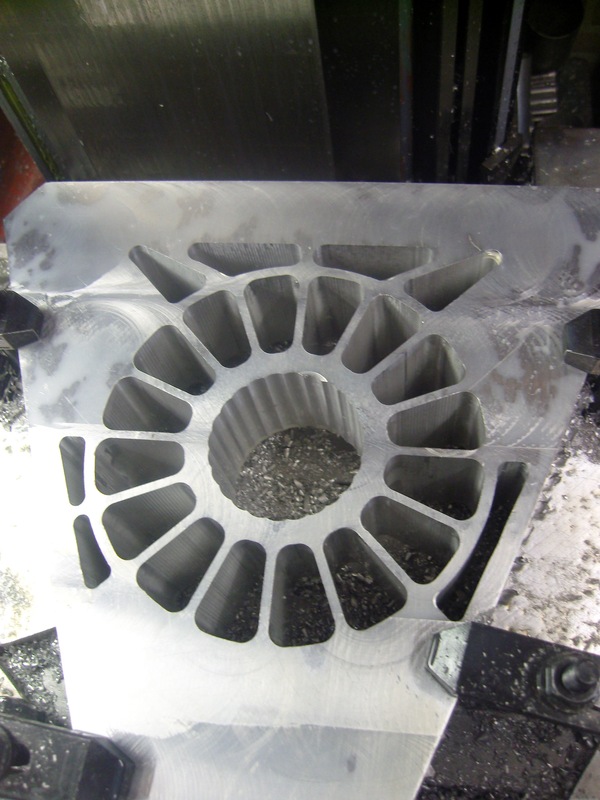 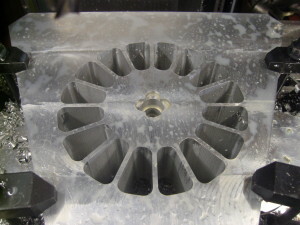 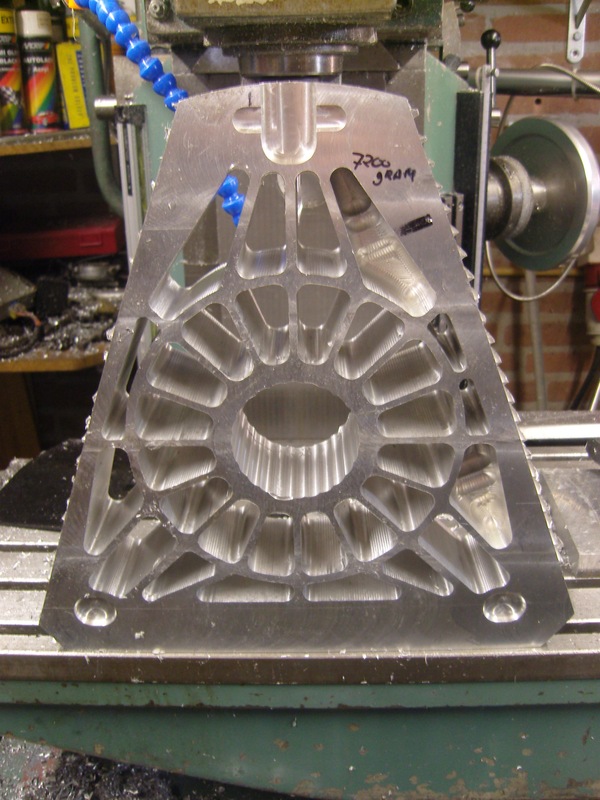 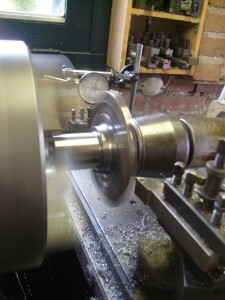 In order to prevent the mill from going off target, I use a faster mill speed and cut about 0.25mm next to the calculated position before milling it to size. The sections around the brake caliper bolt mounting were left with much more material, and not cut all the way through. 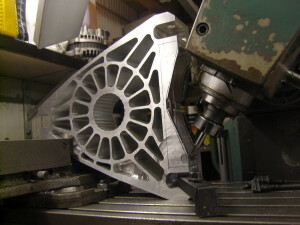 This side of the knuckle also has a slightly thicker joint mounting for the lower arm as the coilover also acts upon that joint. 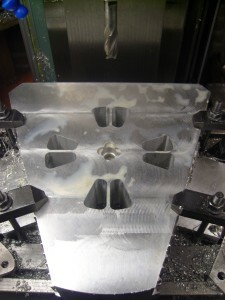 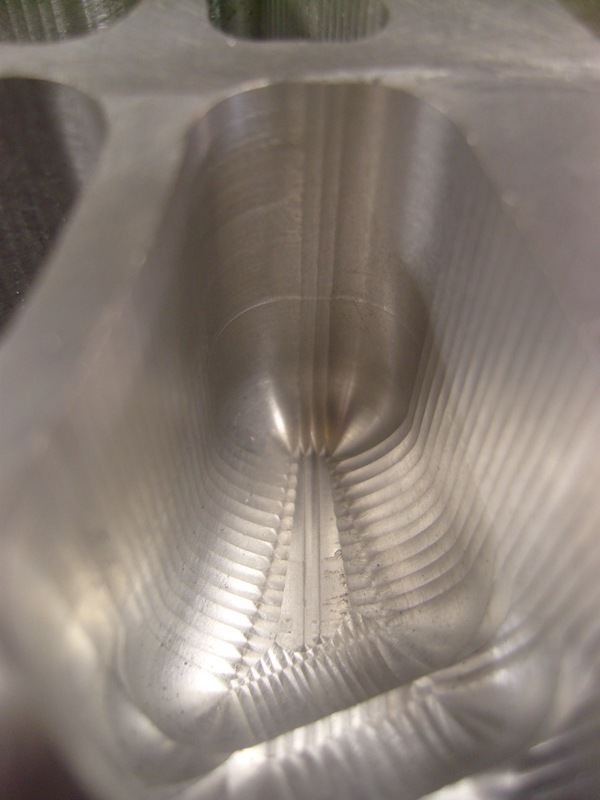 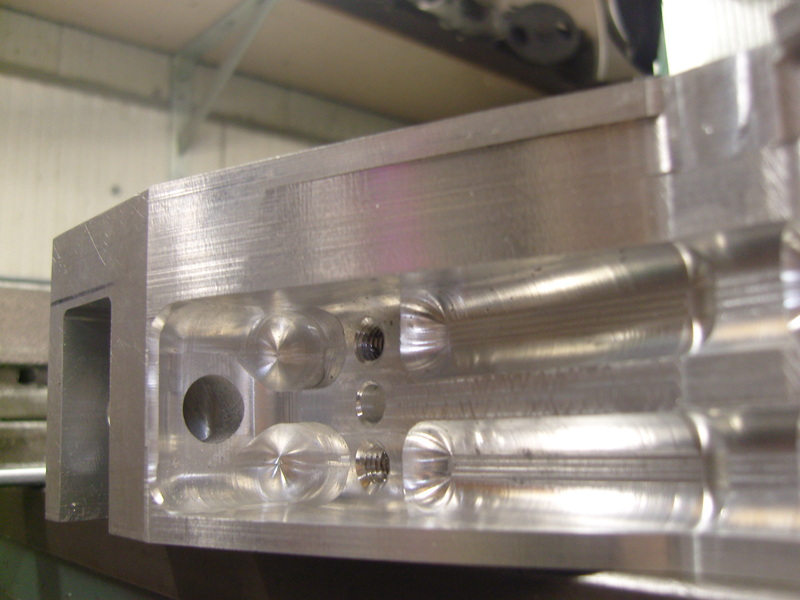 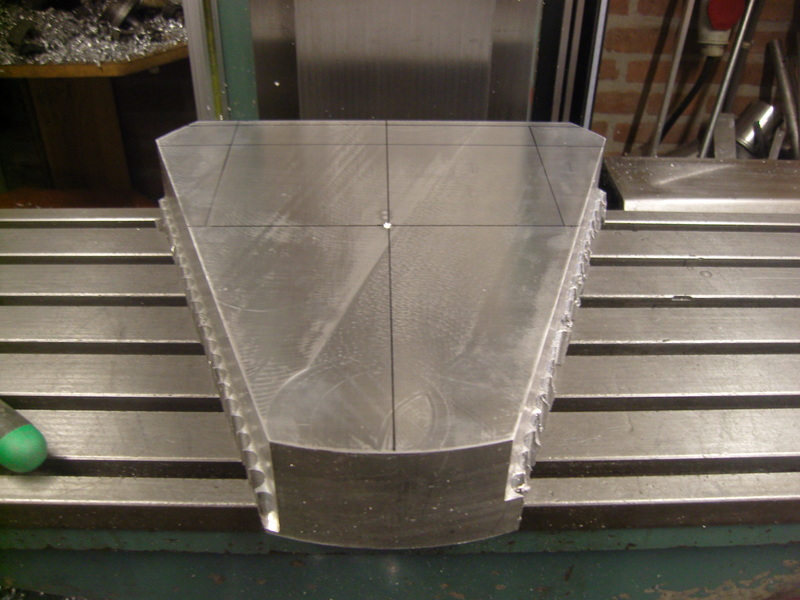 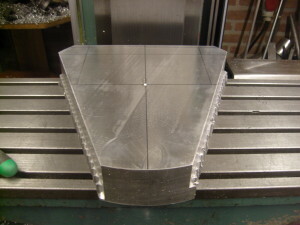 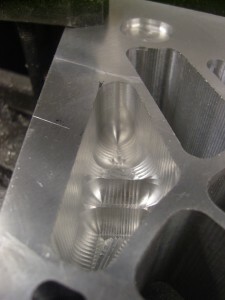 These complex cutouts required meticulous milling as on every downward pass I had to control the milled depth within 0.01mm as well. 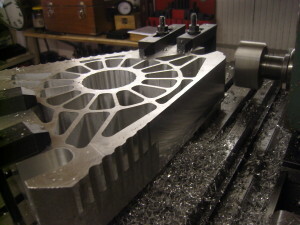 Each section took about 3 hours to cut, times 4 for all sides. The second knuckle took far less time to make. 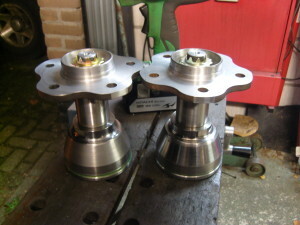 The 3 small ‘plates’ that were left at the side of the hub/disc are there to protect the joints from heat and dirt. 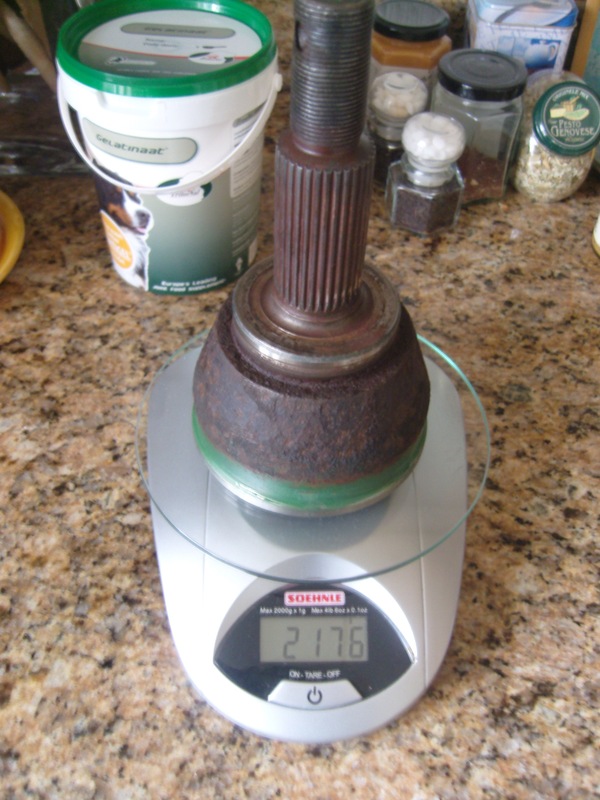 They also increase the strength. 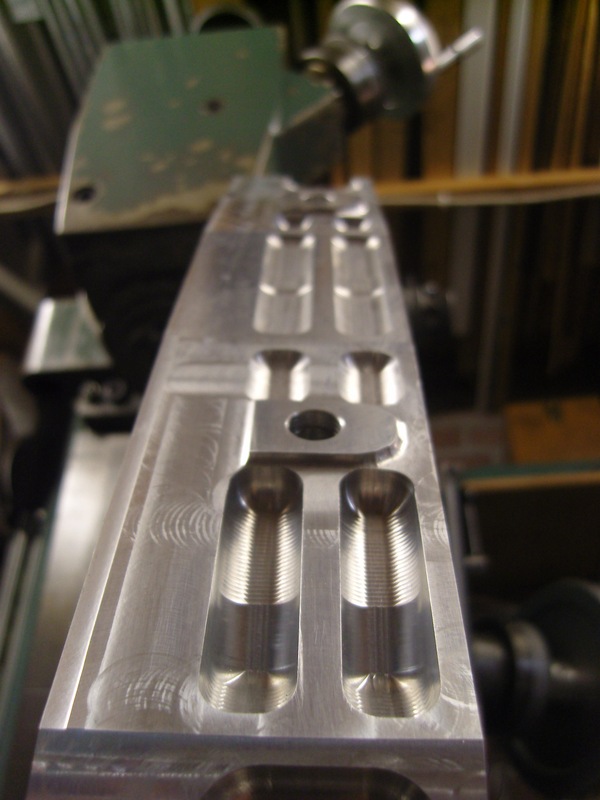 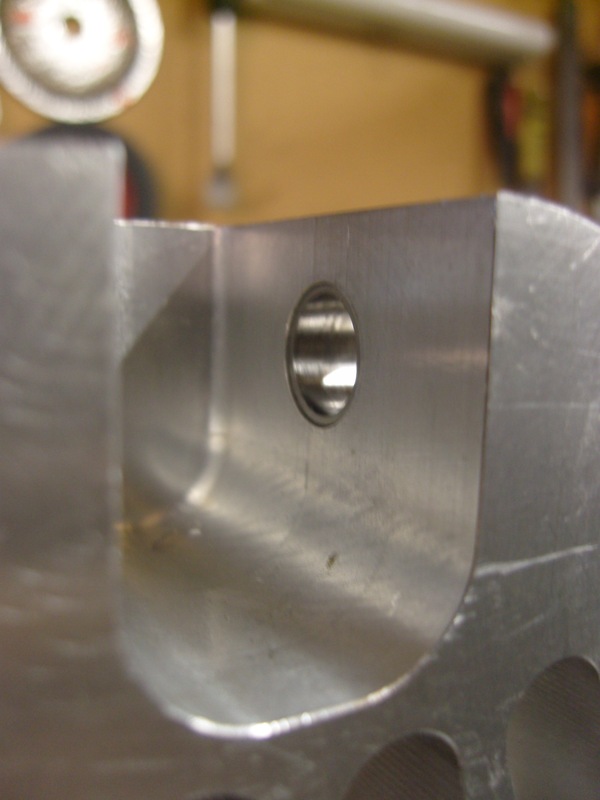 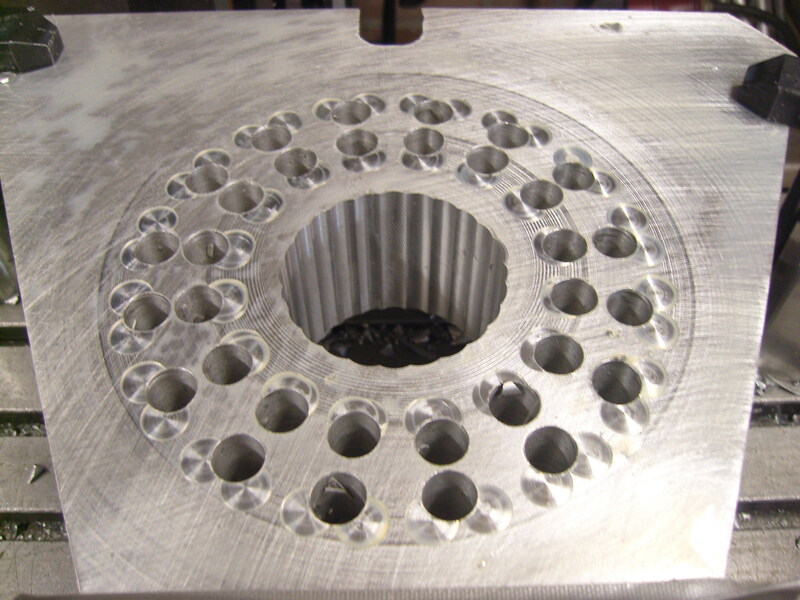 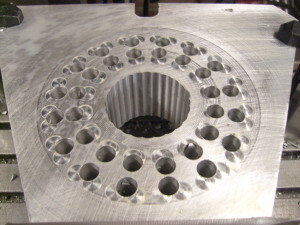 Note the pre-drilled holes before milling. 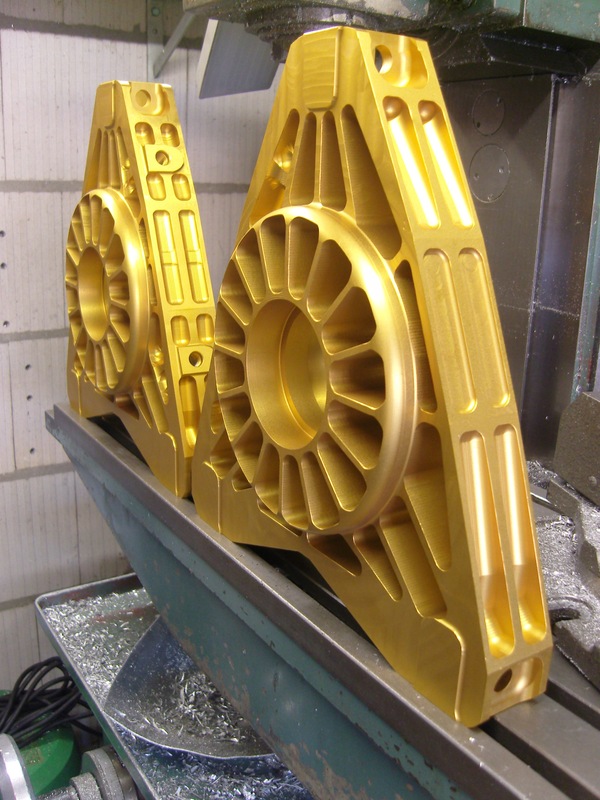 The knuckles were anodized gold coloured for added protection. 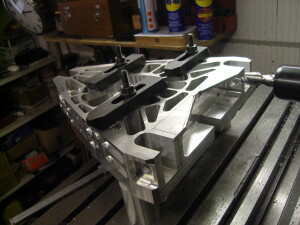 I later regretted this as I feel the original aluminium colour looks better, and I should have gone with a clear anodize job. The gold does look great when it’s a bit darker. To avoid the bearings from falling out, or worse, the outer casing turning within the knuckle the inner diameter is 84,965mm, or 84,955mm before anodizing. 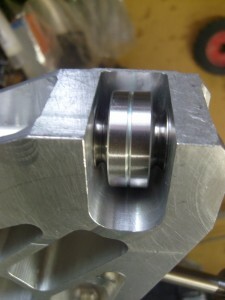 I warm the knuckles up slightly to allow the bearings to drop right in. It’s important to avoid the bolts for the control arms to have direct contact with the surface of the knuckles, despite being additionally protected by the anodized layer. So I ordered a titanium bar and cut/milled inserts that are pressed into the knuckle for excellent protection. 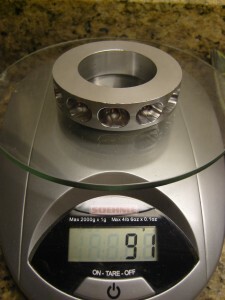 They weigh almost nothing. Of the inserts in the picture, the 2 on the left fit the spherical bearing and the other 2 into the knuckle. 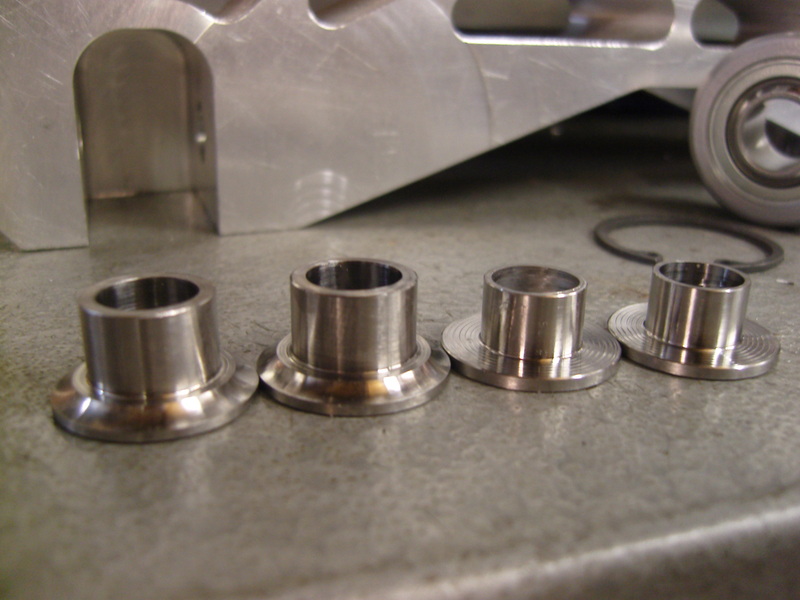 The bearing holder in the middle was designed to be used with 2 angular contact bearing size 85x45x19. 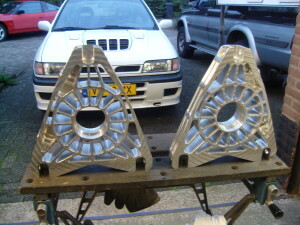 These were then covered by oil seals. 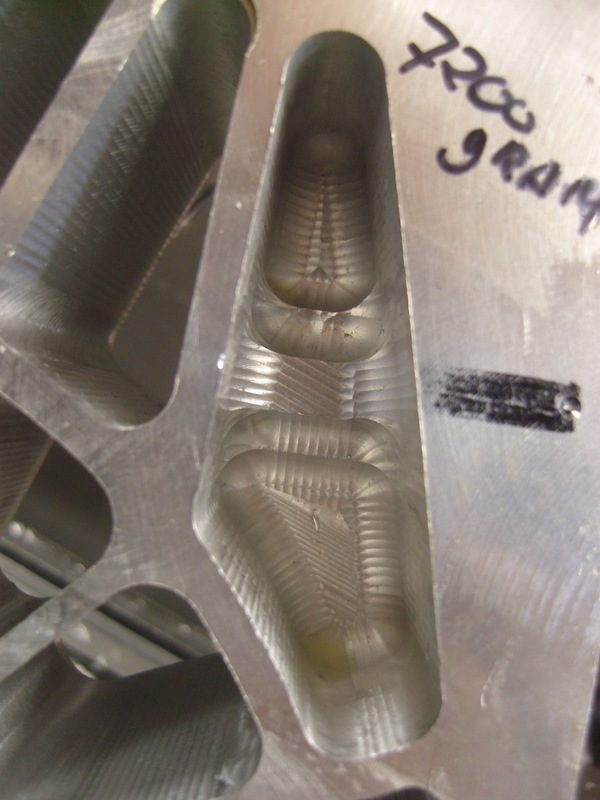 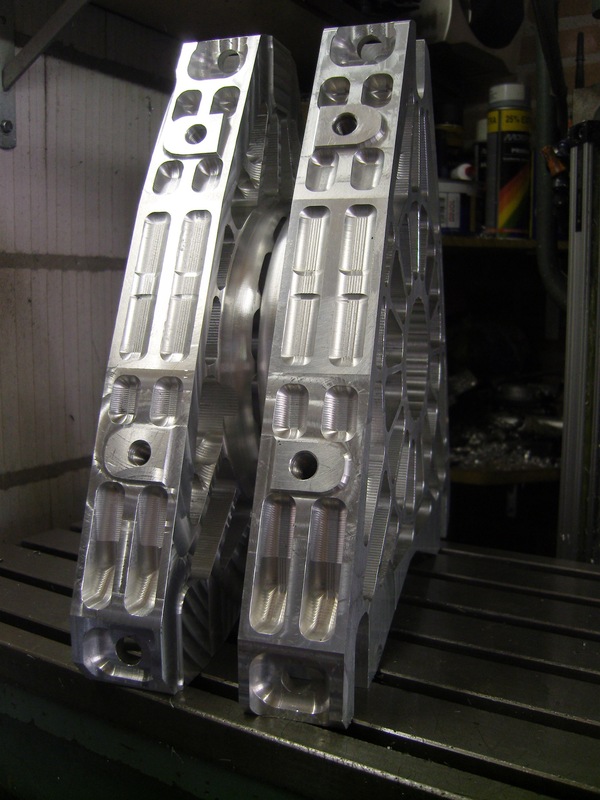 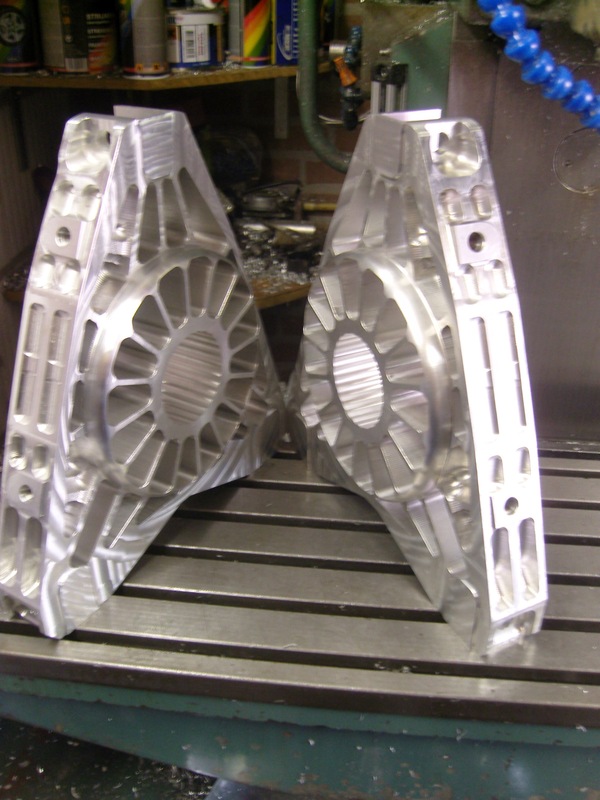 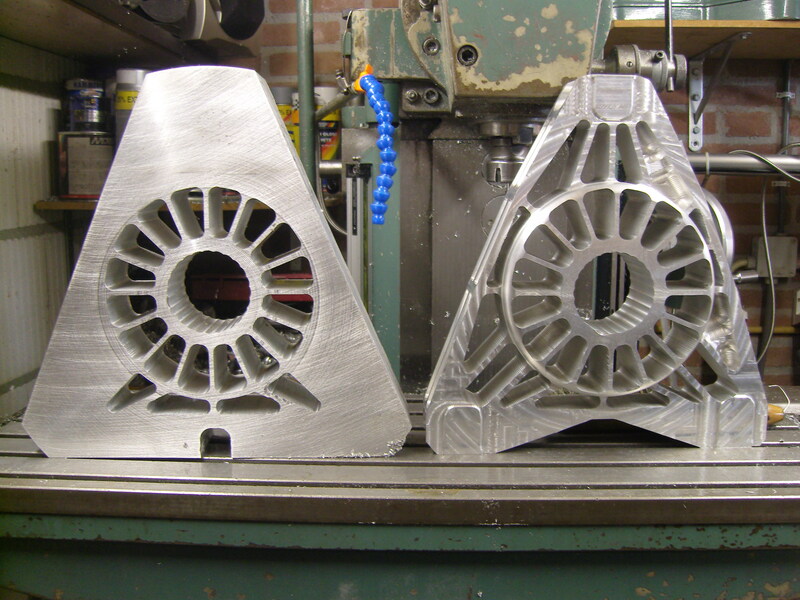 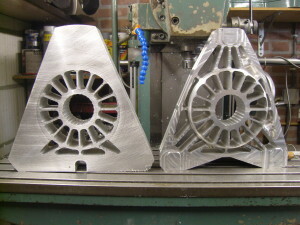 The space in the middle was is lightweight aluminium, made from 7075. Even this spacer required special attention, as I had to take into account that the lightweight holes in the sides of the spacer could cause the bearing grease to surge. 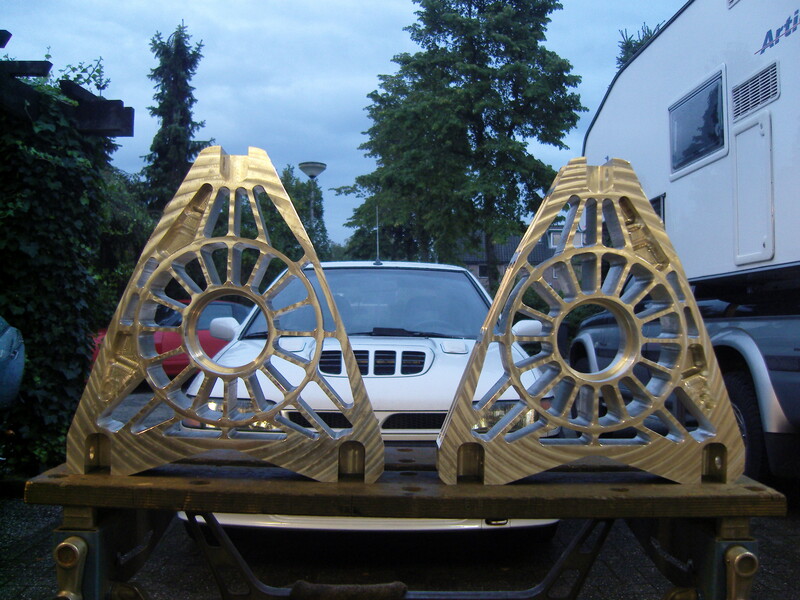 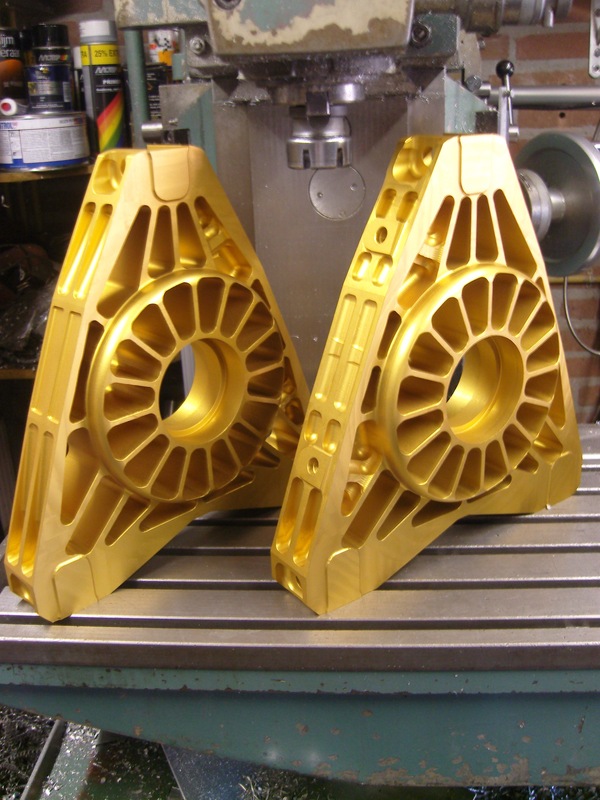 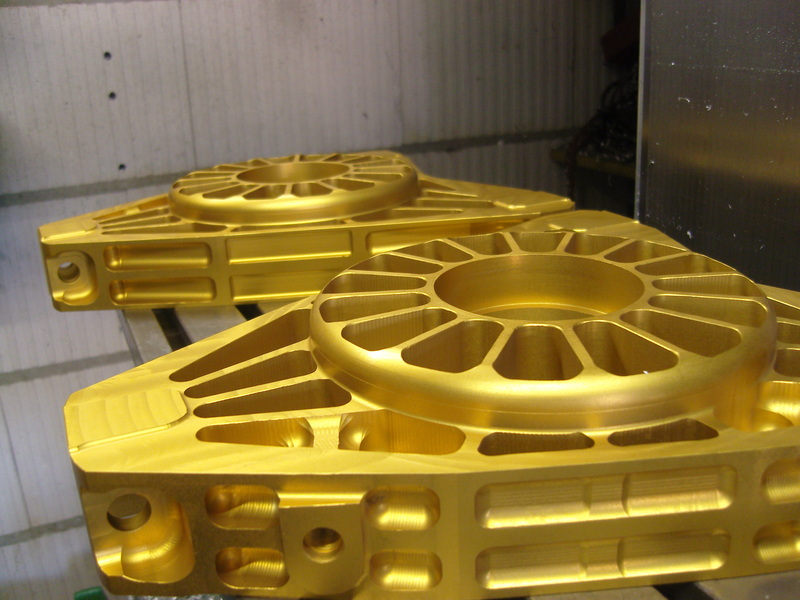 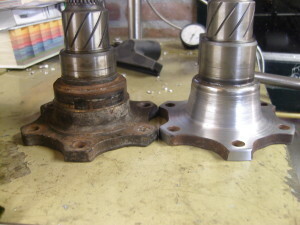 Reducing weight from the suspension parts has a large effect on the vehicle handling. 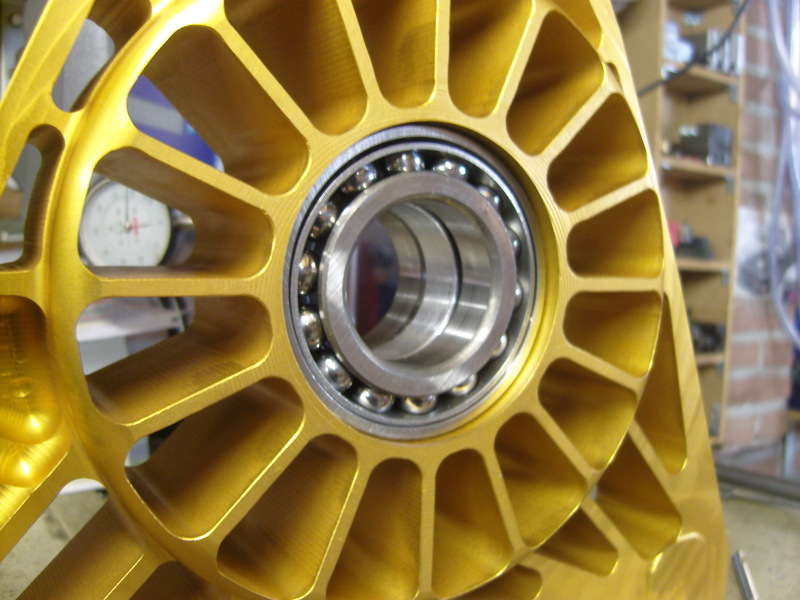 The lower the weight of the unsprung parts the faster the wheel can respond the changes in road condition. 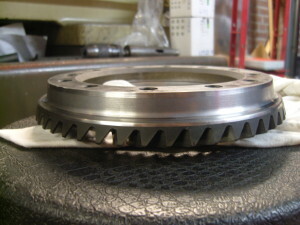 The unsprung parts are all parts attached to the wheel and knuckle, and approximately half the weight of the driveshaft, control arms and shock absorber and spring. 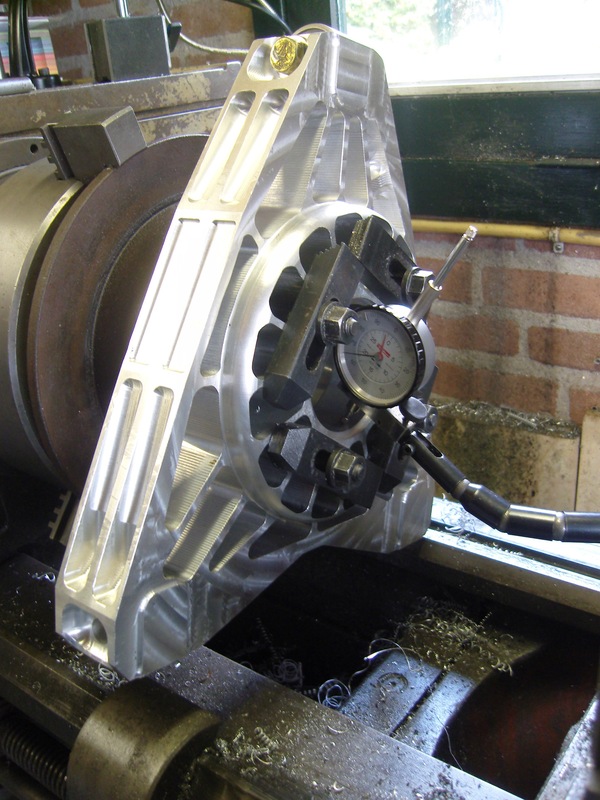 Also, reducing the weight from rotating parts like the hub and driveshafts allows the car to accelerate faster as it requires less energy to move their mass. 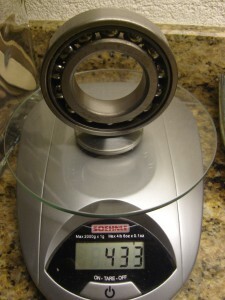 The total weight reduction is substantial. 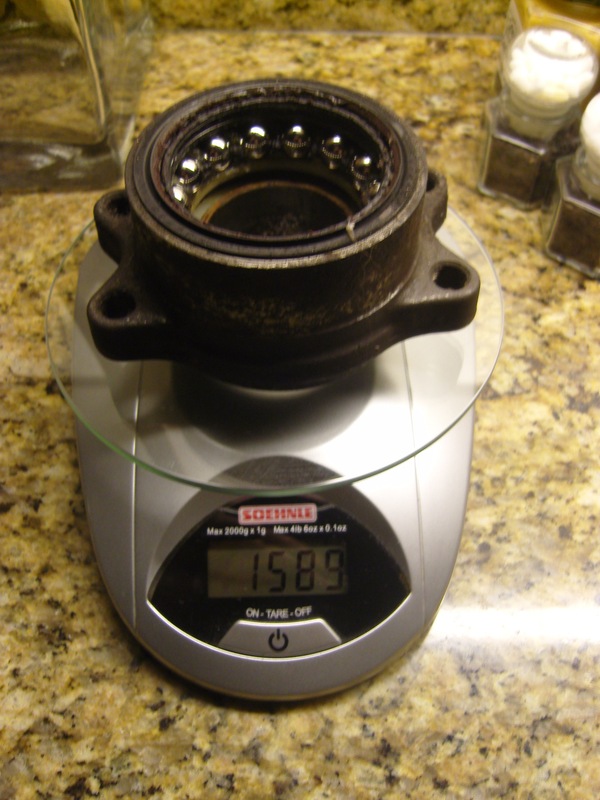 The factory wheel hub/bearing and 4 mounting bolts weigh 4050 grams. The new setup with 2 seperate bearings, seals, the aluminium spacer and cut down hub weighs around 2700 grams. 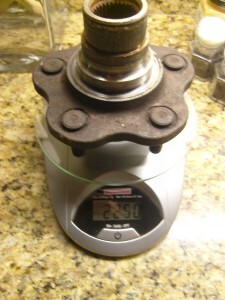 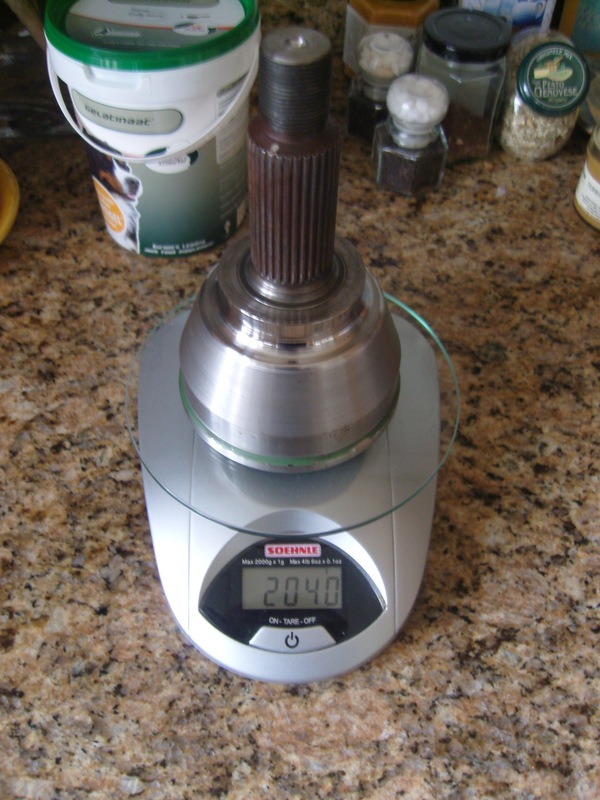 The lightened driveshaft is another 135 gram less. 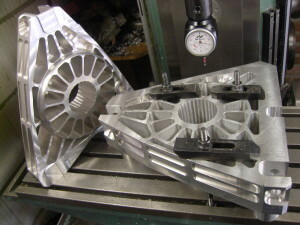 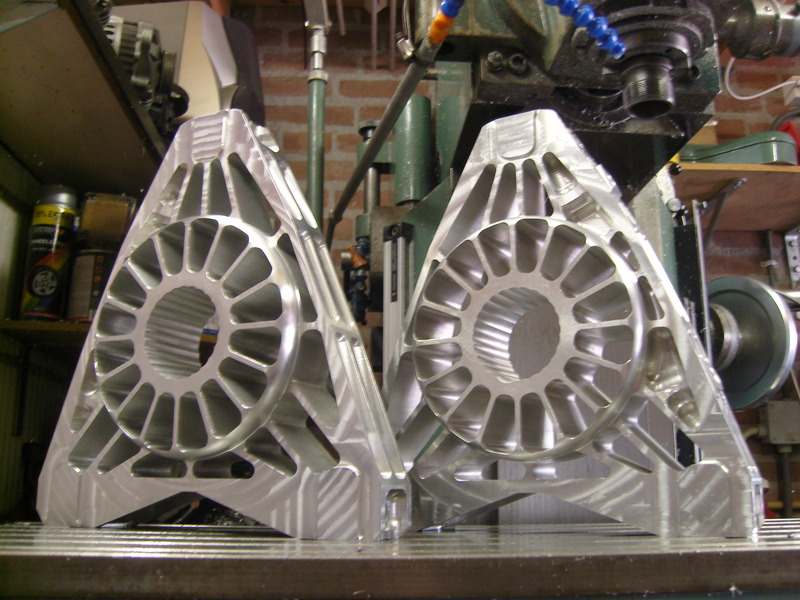 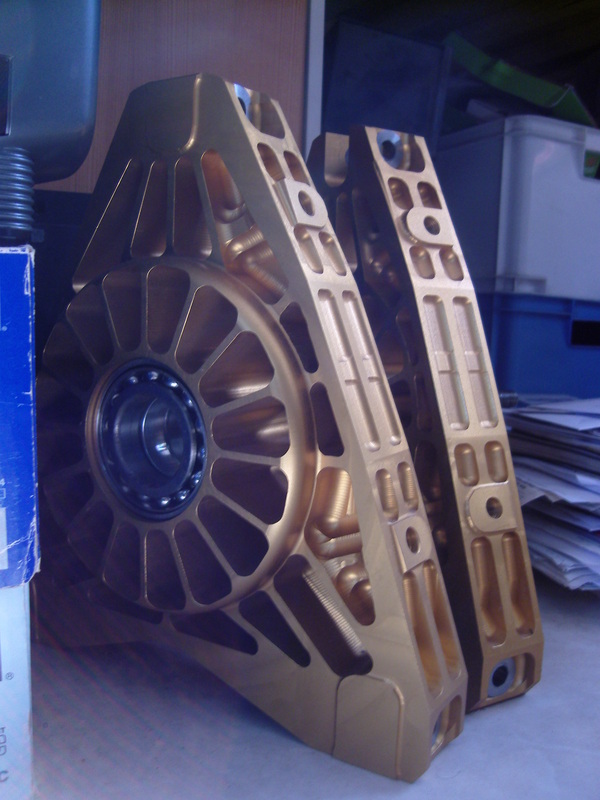 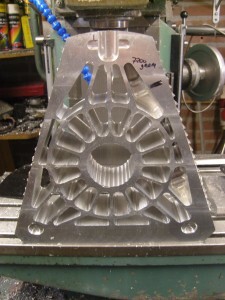 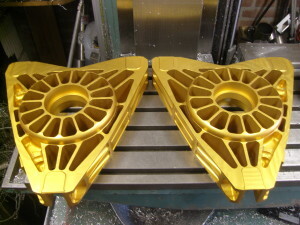 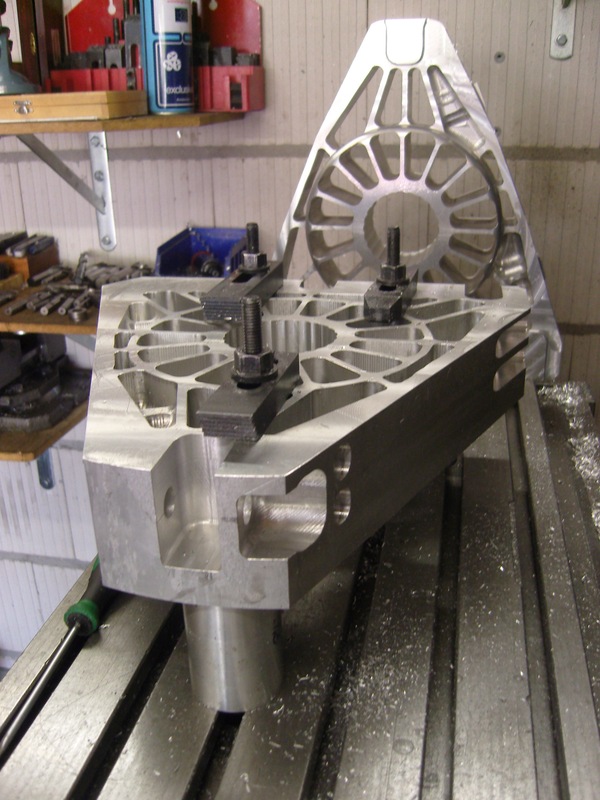 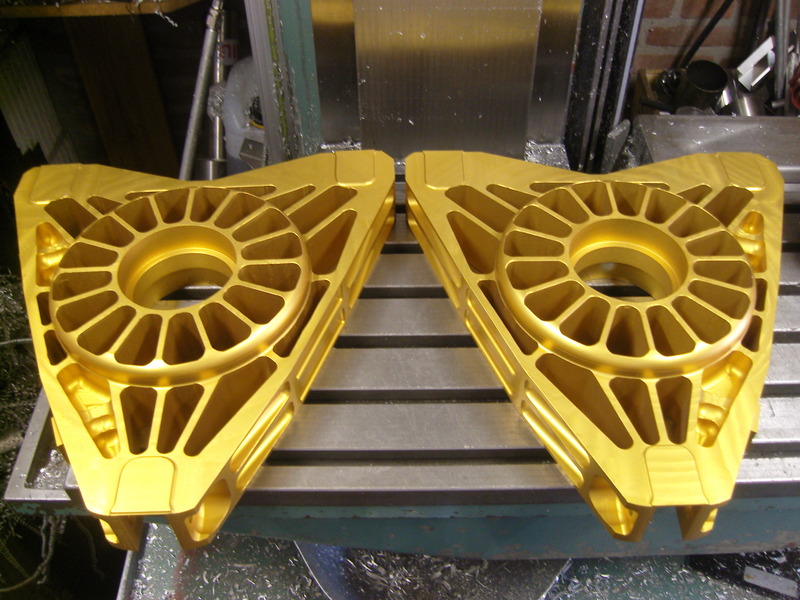 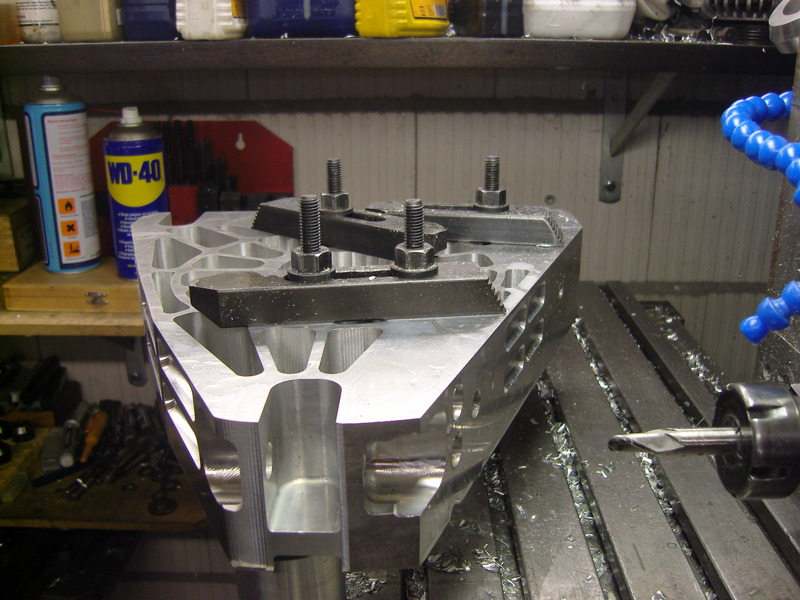 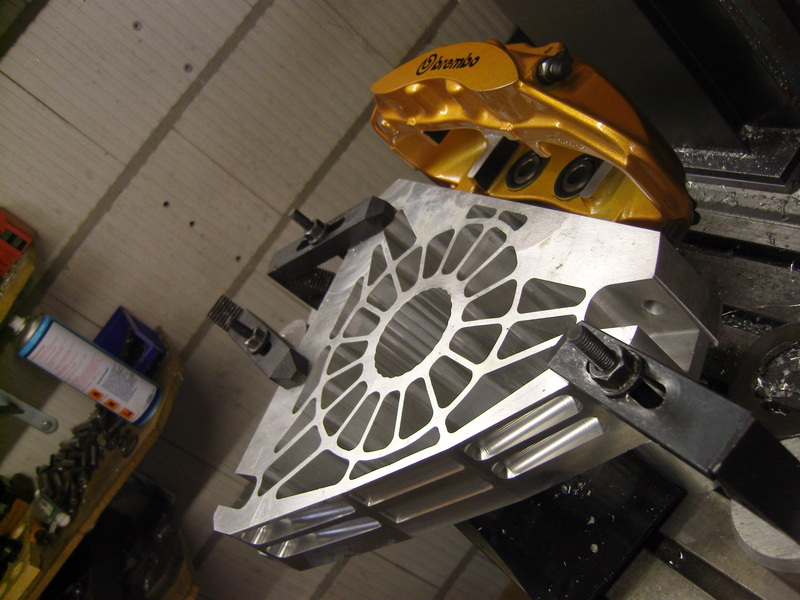 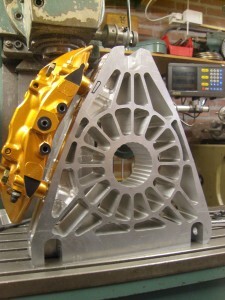 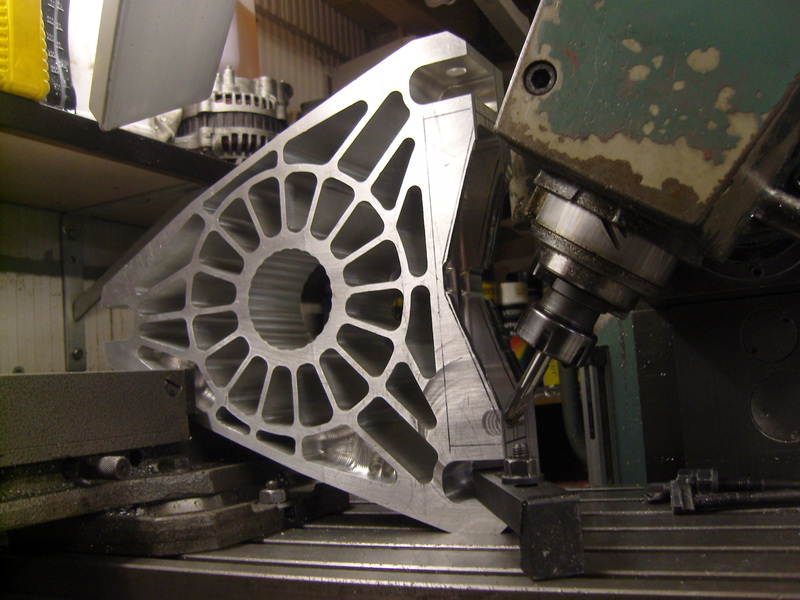 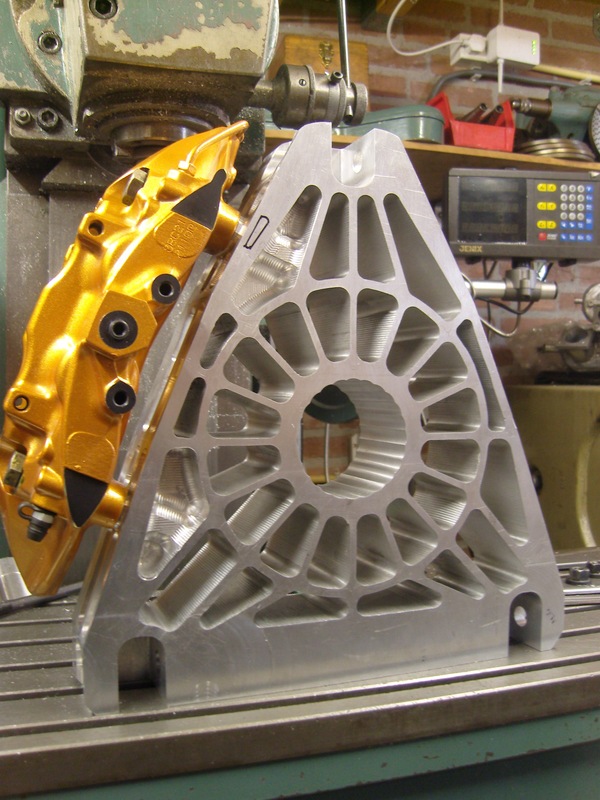 The main gear from the differential has a large unused area that I cut down saving 550 grams. The output shafts had their ABS rings removed for a 300 gram saving on each side. 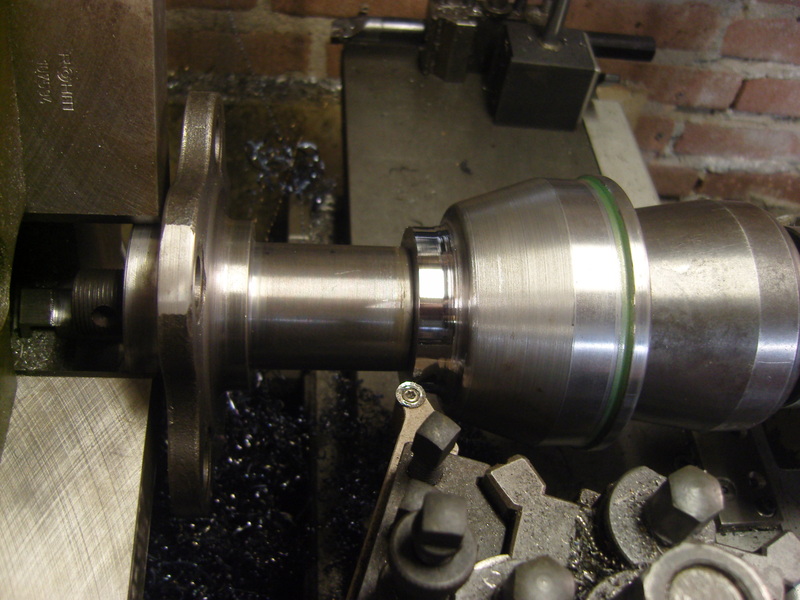 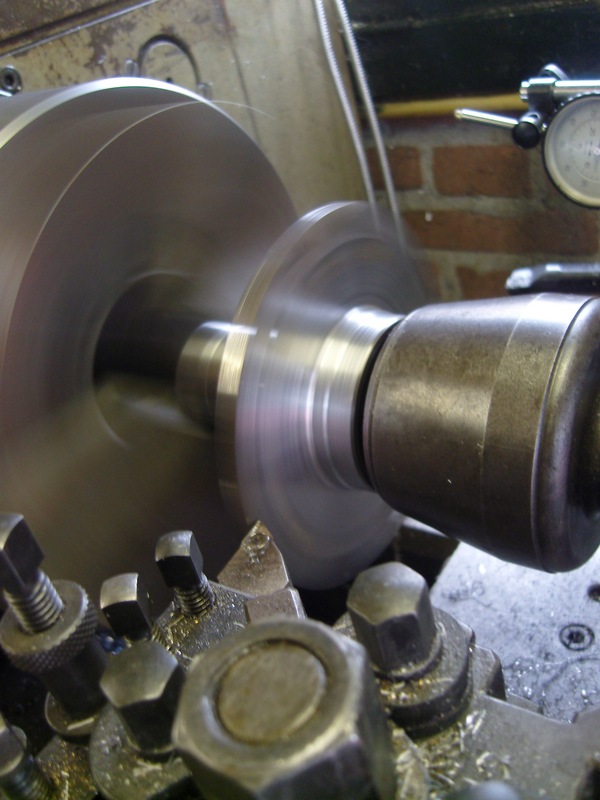 The factory Nissan wheel hubs have a 46mm outer diameter, so I had to cut them down to 45mm in the lathe using soft jaws for perfect centering. 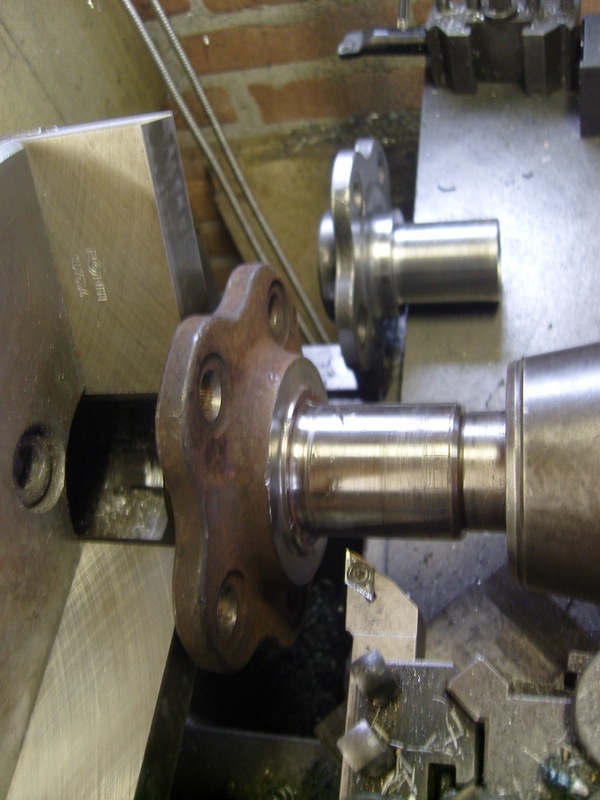 The driveshaft was cut along for perfect centering the new oil seals, as the drive shaft will insert into the seal. In order to keep the 2 aligned, the hub and driveshaft received stamps at the side where the nut torques them down, so I can see how to put them back correctly.